CooksRecipes has quality, kitchen-tested recipes for diabetic-friendly fruit cobblers and crisps that you can count on for accuracy and deliciousness. 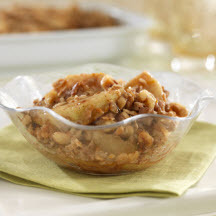 Make this incredible pear crisp for your next fall gathering. The delicately spiced aroma will fill your home. Serve warm with vanilla ice cream. 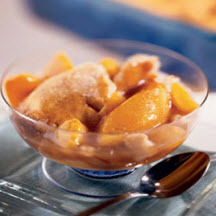 Canned sliced peaches flavored with lemon juice and a hint of cinnamon in a slightly thickened sauce, topped with prepared pie pastry. A perfect warm dessert to serve a cool autumn day.